Adding your own name or choice of wording to our shopfronts is a popular way of making your street personal to you! Most of our main ‘ Nation of Shopkeepers’ collection can be personalised, and make also great gifts for those special occasions – weddings, anniversaries & new babies. To order, visit our online shop, choose the ceramic you would like, and enter your choice of wording for it in the notes section. 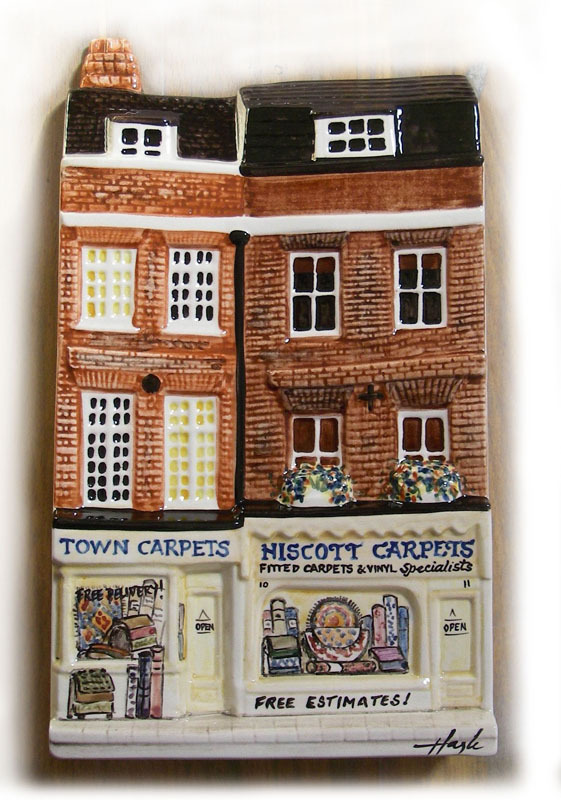 Personalising a ceramic in this way costs £15 in addition to the regular ceramic price. Limited painting and some limited editions may not be available for personalising. Consider your wording carefully! once imortalised on a shopfront, it cannot be altered. We will do our best to fit in the wording you want, (often using our magnifying glasses!) but feel free to contact us if you are unsure what will fit. 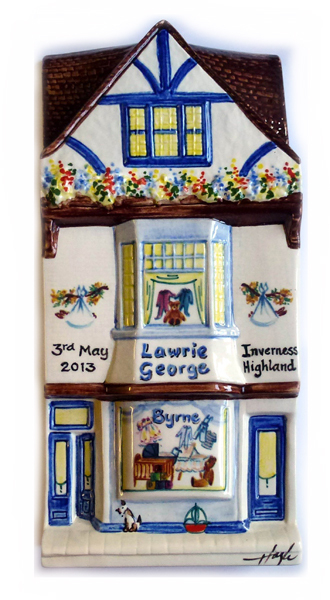 Our ceramics also make ideal corporate gifts, from a half dozen ceramics to hundreds! for these orders,we can often change not only the wording, but the colours and window painting, to turn one of our shops into yours! Ideal for presentation to employees, or to display at your stores.